An eagle in the blue skies over the Kerry mountains. 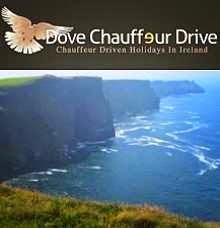 Are you planning on coming to Ireland but afraid to drive yourself? Why not let someone else do the driving for you. We not only do the driving, we also help you to put together the holiday of a lifetime. We can make all the accommodation arrangements also and all you have to do is get yourself here. Travelling down through the narrows between the lakes of Killarney on the Gap of Dunloe tour. Why not contact me and let me know what you have in mind. I will help if i can.